Note: Some categories have url items that last for a very short time (i.e. "Species For Sale"). Sorted by server name without any www. Format is as follows: WHAT species list group (animals, conifers, bacteria, fossils, etc.)? WHY_ nature of list (checklist, collection, sales, book index, etc)? WHERE_ list target (Amazon, Ohio, world, Canada, fossil site, etc.)? WHO_ originator or inheritor of list (WSL is not the owner)? Description and diagram of Rhynia, the first known vascular plant for which a complete fossil has Category Science Biology Botany Paleobotany Taxa Rhyniophyta......Vascular Plants. Unlike most nonvascular plants, vascular plants have a dominant,conspicuous sporophytic generation which is nutritionally independent. Vascular -From the Latin vasculum meaning a vessel or duct Vascular plants first appear in the fossil record during the mid-Silurian period, about 410 million years ago. Rhyniophyta is the earliest known division of these plants, represented by several genera. Figure 1 Rhynia , the first known plant with a complete fossil. Rhynia (Fig. 1) is the first known vascular plant for which a complete fossil has been found. These leafless and rootless plants consisted of stem tissue which branched along an axis and contained spore cases at the tips of the aerial branches. Although true roots developed much later, a primitive "pipeline" system for support and fluid transport was an important development for these plants. The pipelinesystem, consisiting of ineterconnected strands of specialized cells, allowed transport of water, nutrients, and metabolites throughout the plant. This tissue was separated into two types, xylem and phloem. Xylem is specialized hollow cells which move water and dissolved minerals up from the roots to the rest of the plant. Xylem also provides support via the lignin which is incorporated into the cell walls, making the plant rigid. Phloem transports carbohydrates and other metabolites from the leaves to other parts of the plant. Unlike most nonvascular plants, vascular plants have a dominant, conspicuous sporophytic generation which is nutritionally independent. This generation is the familiar organism we see when we look at trees or wildflowers. The gametophytic generation is small and incorporated into the sporophytic generation in angiosperms, although it may be independent in some vascular plants. The Permo-Triassic boundary did not see a dramatic drop and change in the numbers and diversity for the plants, rather a gradual and diachronous transition from Palaeozoic to Mesozoic floras. The changeover took place in different areas and at different times over a period of over 25 million years, as a result of adaptations to climatic change. The evolution happening at different times around the world corresponds to differing environmental conditions, and the rate at which evolutionary advantageous mutations spread around the globe. The transition first occurred in North America and Western Europe, where it was completed by the beginning of the Late Permian, while in Asia and Australasia palaeophytic forms continued into the Early Triassic. In a paper by Knoll (1984) it is stated "wherever fossiliferous sequences are complete enough, demonstrably paleophytic and mesophytic assemblages are separated by intermediate floras that contain elements of both groups". These evolutionary changes have been brought about by the drying out of the planet, which spelled the end of the warm, wet swamp forests so prevalent in the Carboniferous. Plants and their seeds and spores had to adapt to be able to retain water within them to prevent dehydration and death. This led to water loving plants such as the Lycopods and Sphenopsids greatly reducing in size, becoming small shrubs, with ferns and seed ferns being the dominant species. Vascular Plants. G. Motzkin HF056 Dates 1992 Site Prospect Hill TractContact G. Motzkin. Overview. Vascular plant list, Prospect Hill. Vascular plant list, Prospect Hill. Based on 269 22.5 x 22.5m plots. Select Family page: B-D E-G H-N O-R ... S-Z or string query the index Acanthaceae Acanthus balcanicus Acanthus hungaricus Acanthus mollis Acanthus montanus Acanthus spinosissimus Anisacanthus quadrifidus Anisacanthus wrightii Aphelandra lingua-bovis Aphelandra scabra Aphelandra squarrosa Asystasia gangetica Barleria oenotheroides Barleria prionites Barleria repens Barleria saxatilis Beloperone guttata Blechum pyramidatum Blepharis linariifolia Crossandra spec. Cryptophragmium ceylanicum Dicliptera resupinata Justicia americana Justicia aurea Justicia brandegeeana Justicia ovata Justicia runyonii Justicia secunda Justitia flava Mendoncia retusa Odontenema strictum Odontonema nitidum album Pachystachys lutea Peristrohe speciosa Peristrophe speciosa Ruellia amoena Ruellia elegans Ruellia inundata Ruellia makoyana Ruellia metallica Ruellia nudiflora Ruellia sp. (10), Strobilanthes dyeranus Strobilanthes dyerianus Thunbergia alata Thunbergia erecta Thunbergia fragrans Thunbergia grandiflora Thunbergia holstii Aceraceae Acer campestre Acer capillipes Acer ginnala Acer grandidentatum Acer griseum Acer japonicum Acer maximowiczianum Acer negundo Acer opalus obtusatum Acer palmatum Acer pensylvanicum Acer platanoides Acer rubrum Acer saccharum Acer sp. Server Home Information Desk Research SearchConspectus of the vascular plants of Madagascar. Sarcolaenaceae Sarcolaena multiflora Thouars Specimen voucher: Schatz 1484 Didymelaceae Didymeles integrifolia J. St.-Hil. Specimen voucher: Schatz 2778 News Flash Generic Tree Flora of Madagascar now available through MBG Scientific Publications What's New Gazetteer to Malagasy Botanical Collecting Localities Read Web versions of 2 Scientific Papers Malagasy/Indo-Australo-Malesian Phytogeographic Connections , a paper from the International Symposium on the Biogeography of Madagascar, 26-28 September 1995, Paris. The Classification of Natural and Anthropogenic Vegetation In Madagascar , a paper from the International Symposium entitled " Natural and Human-induced Change in Madagascar " held at the Field Museum of Natural History in Chicago 2-4 June 1995. 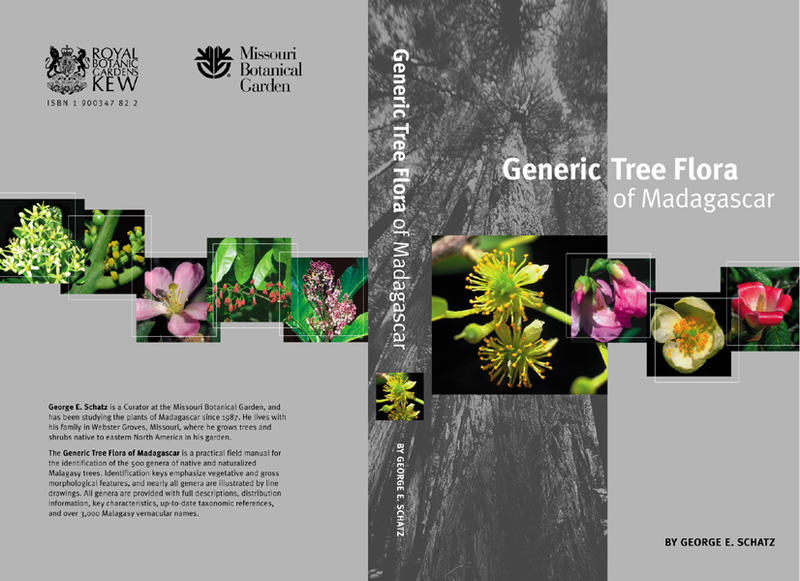 The Madagascar Conspectus Project The Conspectus of the Vascular Plants of Madagascar Project is an international, multi-institutional effort involving the Missouri Botanical Garden (MO) , the of the The Madagascar Conspectus database is a subset of the larger TROPICOS database housed at the Missouri Botanical Garden , and currently exists in Madagascar in its PC-TROPICOS form. We plan to incorporate both in situ specimen-vouchered images and scanned illustrations, as well as utilize the geo-referenced specimen data for GIS analyses of distribution. The images will also be incorporated into an Interactive Identification System to the families and genera of woody Malagasy plants currently under development. Welcome to browse a list of all the registrated vascular plants on Svalbard! A number of 191 native species have been recorded including subsp., var. Only latin, author- and Norwegian names are listed. Welcome to browse a list of all the registrated vascular plants on Svalbard! A number of 191 native species have been recorded including subsp., var. and hybrids. Only latin-, author- and Norwegian names are listed. The nomenclature of the list in based on " The Norwegian Flora Lid,J. and Lid,D.T. 1994. Edited by Reidar Elven . 6.Edition. Published by "Det Norske Samlaget", Oslo. Taxonomically arranged images and summaries of family characteristics. Last modified 1 June 2001 by Dan Skean. Enter your search terms. If you have more than one term, you can connect them with (to produce boolean AND) and (to produce boolean OR). You can also precede terms with , to produce boolean NOT. ( Examples Enter your search terms here. Select the return format. "Full text of all entries" causes searches to return just that. "List of matching entries" causes searches to return a list of entries (giving their family, genus, and species names), each of which can be selected to retrieve the full text of the entry in question. Return format: Full text of all entries List of matching entries This is a facility for performing full-text searches on the entries in A Checklist of the Vascular Plants of Texas by Hatch, Gandhi, and Brown. The Checklist has been indexed by the "Managing Gigabytes" software package of Witten et. al. The searches that can be performed are "full-text" because any word that appears anywhere in the text can be searched on, not simply a restricted set of keywords. Checklist main page. A checklist of naturally occurring vascular plants in Wisconsin with photographs, distribution maps and habitat descriptions. Distribution maps of vascular plants of Hokkaido, Japan. The Catalogue of the vascular plants of Ecuador was published 30 July 1999 andis available in book form through the Missouri Botanical Garden Press. You may access the data via the index to accepted names and index to all names . Or, you can type a scientific name in the box below to obtain the information presented in the Catalogue. Hit the BACK button on your browser toolbar to return to this page. Search the checklist of the vascular plants of Texas. Vascular Plant Families - This is a collection of descriptions and captioned images of vascular plant families for use in instruction. The images are all in color and are 400 x 600, 600 x 400, or 400 x 400 pixels in size. More than 225 families are represented among the several hundred images in this category. Introduction to the 3rd Edition, Updated. This is a checklist of the nativeand naturalized vascular plants known to occur in San Diego County. Introduction to the 3rd Edition, Updated This is a checklist of the native and naturalized vascular plants known to occur in San Diego County. The 3rd edition represents an advance over the 2nd edition in that each listing cites an herbarium specimen which documents its occurrence in the county. This online version incorporates updates, corrections, and additions made since the publication of the print version. A list of these corrections is included as an appendix on this site. Checklist of the Vascular Plants of San Diego County by Michael G. Simpson and Jon P. Rebman San Diego State University and San Diego Natural History Museum may be purchased from San Diego Natural History Museum Store San Diego State University Bookstore California Native Plant Society Checklist of the Vascular Plants of San Diego County This material may not be reproduced or resold.